2019 Safety Excellence Awards The Awards will be presented during the WEDA Luncheon on June 5th at the 2019 Dredging Summit & Exposition in Chicago, Illinois, USA. Be aware that Safety Award winners are asked to register and attend the Dredging Summit & Expo to participate on the Safety Panel and receive the award in person. The 2019 Summit will be held June 4-7, 2019 in Chicago, Illinois. The theme for this year’s Summit & Expo is “Waves of change: Oceans of Opportunity”. Have a 20187 Total Recordable Injury Rate of 2.0 or below. 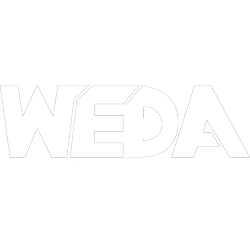 Nominations must be submitted to WEDA’s Safety Commission Chair, Julie Hile by May 1, 2019.